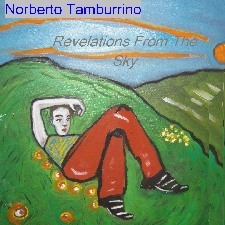 Jerry D. Tiberi , guitarist • Norberto I checked out Lovely Tunes. I really like your playing. I hear some if my favorite pianists in your playing yet its definitely your own sound.... Your left hand is beautiful--not busy at all ala Bill Evans. Also you have just the right amount of Monk in your playing which is a compliment. Bill Evans + Monk is what I hear in your music + Norberto. I love it! About Reflection(s) on Monk: December 02, 2008 " You should know that I receive a lot of music to listen too and I have to say that I really enjoyed your piano playing, tune selection, band personnel and arrangements. This is a first class production all the way." This album includes 11 tracks. Check out it from the player. 8 are original compositions and 3 famous Jazz Standards.